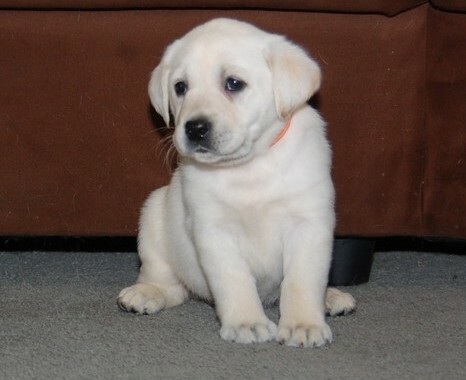 **ONLY 1 GIRL & 1 DOG LEFT**A stunning quality litter of 7 quality yellow Labrador puppies. 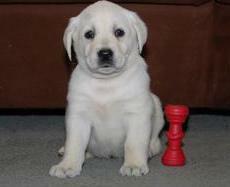 (just 2 left now 1 boy and 1 girl) The sire is the renowned Sh Ch Rocheby Statesman. Reared in the home with children and other animals, these puppies will make a fine addition to any household as show dogs or pets. Both parents are health tested as follows Sh Ch Rocheby Statesman •prcd-PRA (DNA) : Clear. The puppies will be microchipped and will have had their first vaccination carried out. Therefore they will have undertaken a thorough vet inspection. They will have their KC reg paperwork, 4 weeks free Insurance, food supply and will come with a life time of advice and support. Both parents have fabulous natures, conformation and are free of health issues. 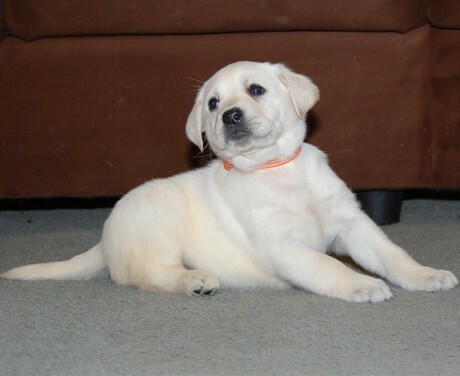 Therefore every care and attention has been put into breeding these stunning puppies.They will make fantastic pets or show dogs.They are well socialised and are handled daily and will be well on the way to being house trained when ready to leave, also well socialised with the family cat. They will have had 1st and 2nd injections, wormed, flea treatment and micro chipped. Reservations now being taken. Only available to good homes that will give them love and support forever. Full support from ourselves given as and when needed.